A second prototype of the RF-01 was built, and then Four-nier entered into partnership with Antoine d'Assche, who was then producing Jodel two-seaters in a hangar at Gap in the French Alps under the trade name of Alpavia. They produced quite a number of the little airplanes, which were not exactly powered sailplanes but airplanes with an unusually shallow angle of glide; successive improvements brought about the RF4 (the second prototype having been the 2, with 34 hp Rectimo-VW engine, and the original production version the 3). Government assistance was provided for development of the improved RF-2, subsequently produced by Alpavia as RF-3, with slightly uprated engine, first flown March 1963. 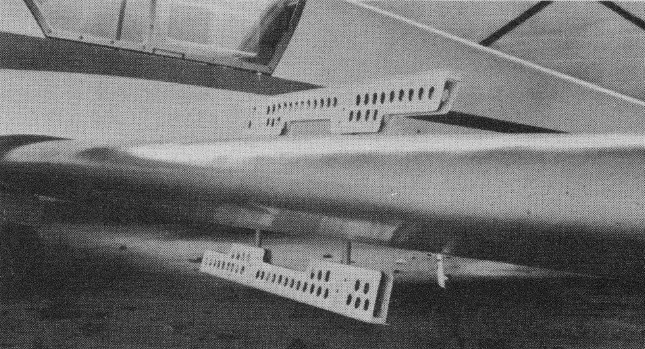 The RF-2 had perforated wing spoilers that extended from both upper and lower surfaces of the wing. They retracted vertically flush with the wing surface.